The music of The Elder Scrolls Online was composed by Brad Derrick and Rik Schaffer. Jeremy Soule, a long-time composer on Elder Scrolls games, worked on the original title theme. Malukah (Wikipedia), a Youtube musician who came to prominence with her rendition of Skyrim's "The Dragonborn Comes", was invited to write the music for (and perform some of) the bardic songs in the game, as well as the credits song. The music of the game is themed, with particular pieces being tied to biome types, locations (both large and small), and moods. Zenimax wanted the music to be integral to the game environment, blending seamlessly with the other sounds around the player. Some songs from previous titles make a reappearance. Some have been reworked while others are only sampled. 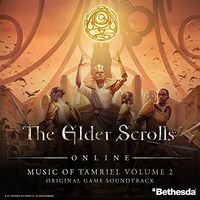 The soundtrack is available as the Original Game Soundtrack, which contains all 47 tracks from the base game, and tracks from the DLC are released as volumes in a separate series of albums titled Music of Tamriel. The Original Game Soundtrack is available on iTunes for $15.99 USD and Amazon for $8.99 USD. Music of Tamriel, Vol. 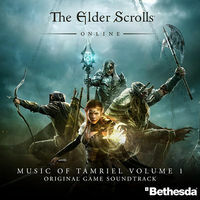 1 contains tracks from the Imperial City and Orsinium DLC. It is available on iTunes for $9.99 USD and Amazon for $8.99 USD. 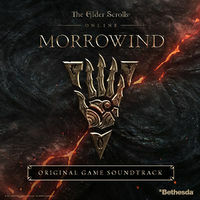 The Elder Scrolls Online: Morrowind (Original Game Soundtrack) is an album containing new musical arrangements that were created for The Elder Scrolls Online: Morrowind. A Land of War and Poetry was made available on Spotify on June 7, 2017. The full album was released on June 22, and is available on Spotify, on iTunes for $9.99, on Google Play for $9.49, and on Amazon for $8.99. Music of Tamriel, Vol. 2 was released on January 12, 2018. 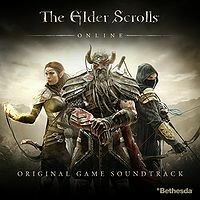 It contains tracks from the Thieves Guild, Dark Brotherhood, and Clockwork City DLC, as well as additional tracks such as new boss music. It is available on Spotify, on iTunes for $9.99 USD, Google Play for $9.49 USD, and Amazon for $8.99 USD. 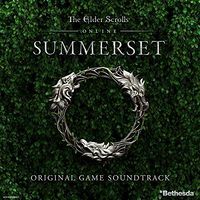 The Elder Scrolls Online: Summerset (Original Game Soundtrack) is an album containing new musical arrangements that were created for The Elder Scrolls Online: Summerset, as well as the track used in the E3 2018 trailer. The album was released on August 11, 2018, and is available on Spotify, on iTunes for $9.99, on Google Play for $9.49, and on Amazon for $8.99. Similarly to previous games, while most of the soundtrack is new, a few of the tracks contain motifs that have appeared in the earlier games. Much of the first half of "Omens in the Clouds" - such as the melody right at the start of the song - features a slowed-down version of the melody in Arena's theme. "Moth, Butterfly, and Torchbug" contains a motif from the beginning of "King and Country" from Oblivion. It appears at 4:26 in "Moth, Butterfly, and Torchbug". "Greenheart" has a section with the tune from the beginning of "Watchman's Ease" from Oblivion, starting at 3:26 in "Greenheart". "Tides of the Abecean Sea" has a motif that originally appeared in Oblivion's "Reign of the Septims" (at 0:26), and then in Skyrim's "Unbroken Road" (at 0:58). It can be heard in "Tides of the Abecean Sea" at 4:03. "The Legacy of Lorkhan" contains a motif which originally appeared in Morrowind's "Separation/Blessing of Vivec". It can be heard in "The Legacy of Lorkhan" around 0:40. Although "(feat. Jeremy Soule)" is not present in the title of the "Azura's Coast" Morrowind chapter track, it does contain a motif from Morrowind's "Peace At Last/Peaceful Waters" at 1:59.